The other side just as equally jacked up. 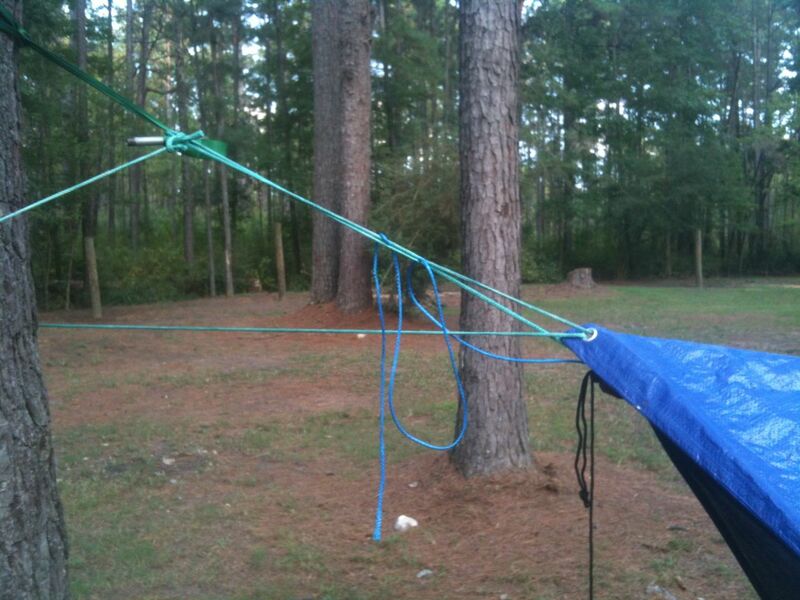 The end of my tarp ridge line is literally jammed between the edge of the loop of the whoopie sling. It was in there tight, but I have serious doubt that it would have held in any significant downpour.